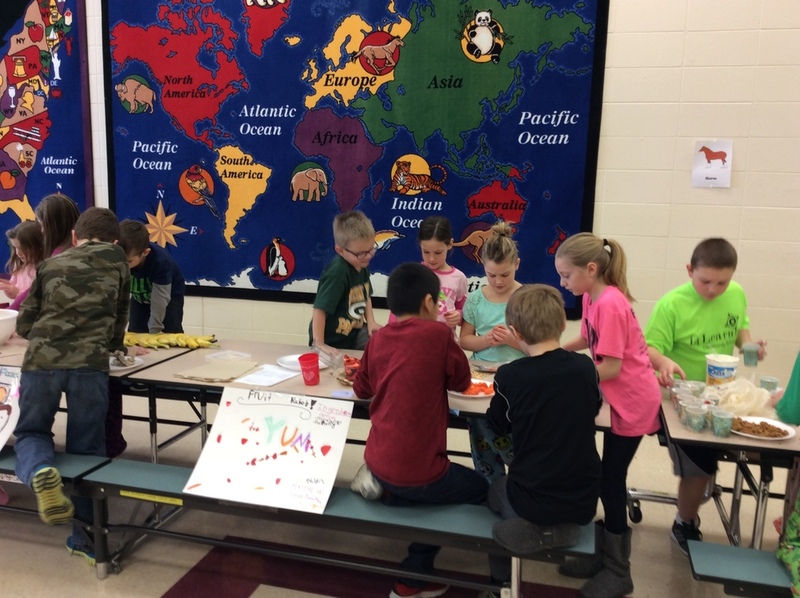 Students in grades K-5 worked in small groups to create a recipe for a healthy snack. 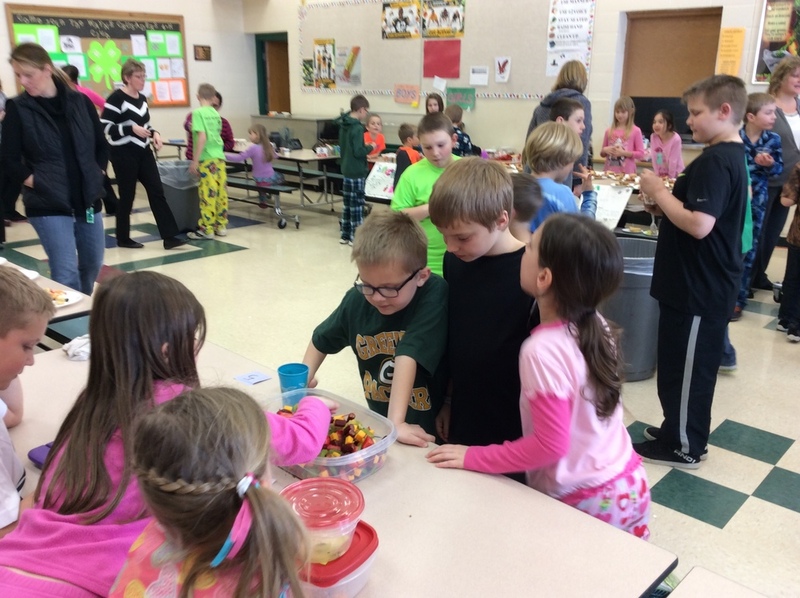 On Tuesday, March 1, students brought their ingredients to school and created their recipes. 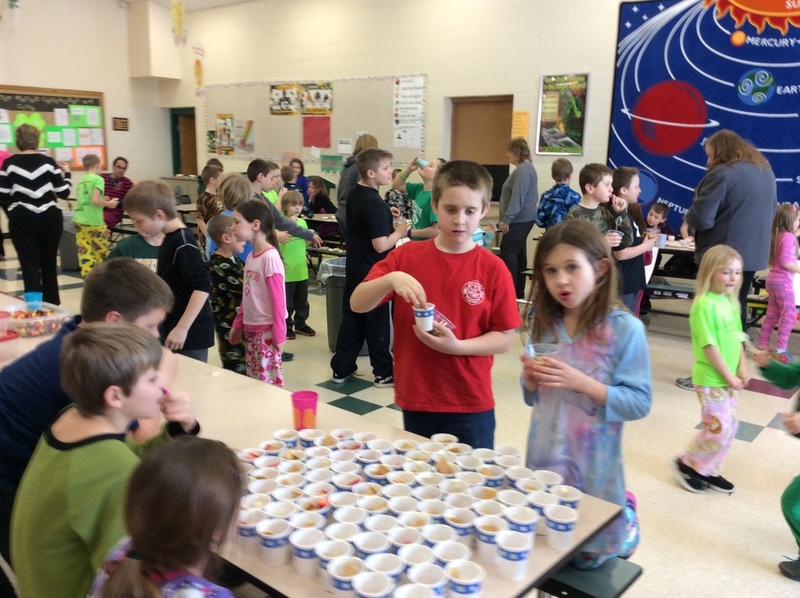 After the recipes were complete, they set out samples for a taste testing. 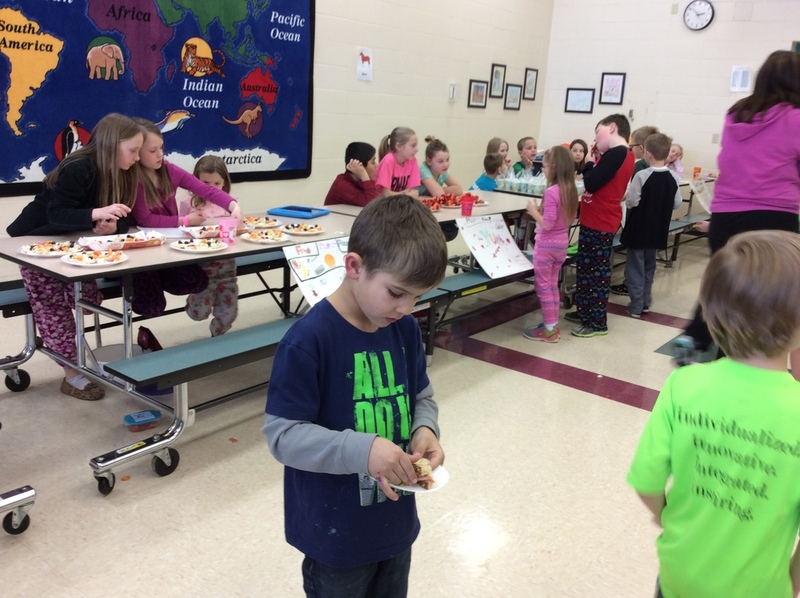 As students tasted the recipes, they were given a ticket to vote for their favorite. 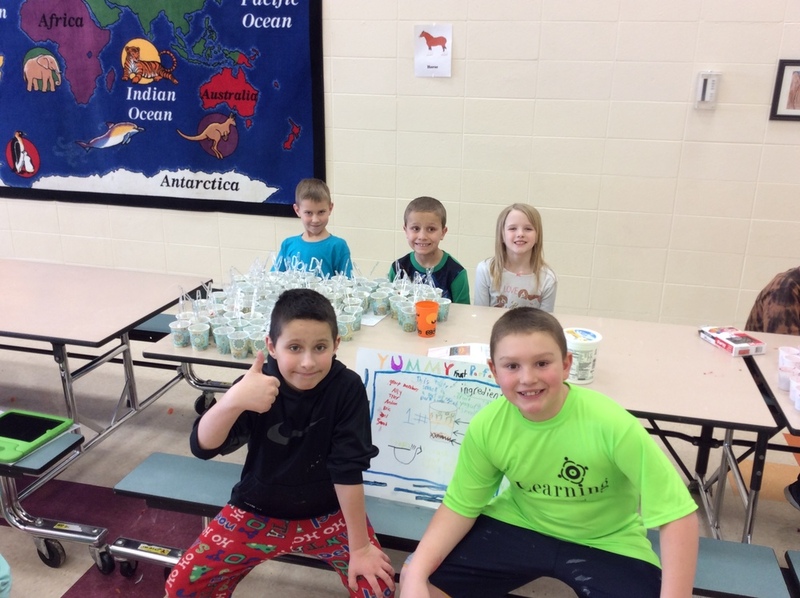 The group that made salsa was the winner. Please look for a recipe book to come home soon with all the recipes. Also, thank you so much to all the families that donated food and volunteered to help us out that day.